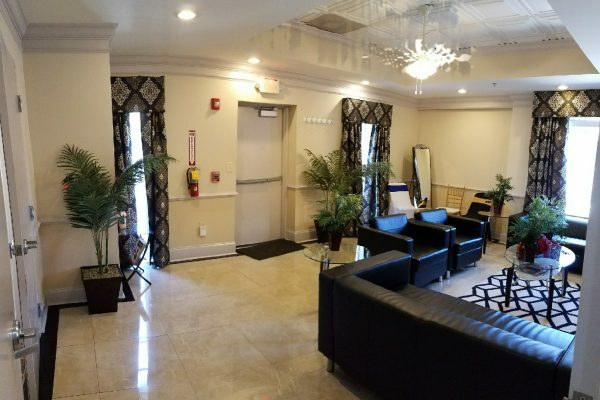 The office suite provides an excellent space for a bride and her party to prepare for her big day, it gives the guests of honor a space to relax as they wait to make their grand entrance, and it offers the host a place to take a moment soak up everything that is happening around them. 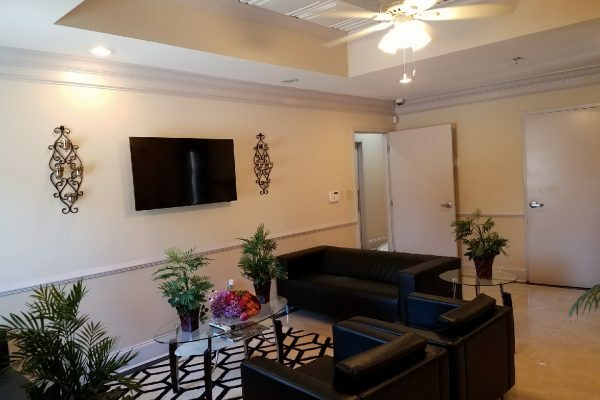 This room makes a perfect lounge space. It is equipped with mirrors, clothing hooks, and tables. 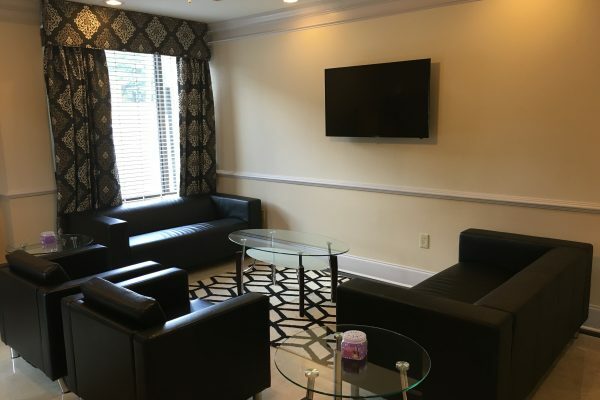 It also has cable television, 2 chairs, and 2 sofas for your comfort. 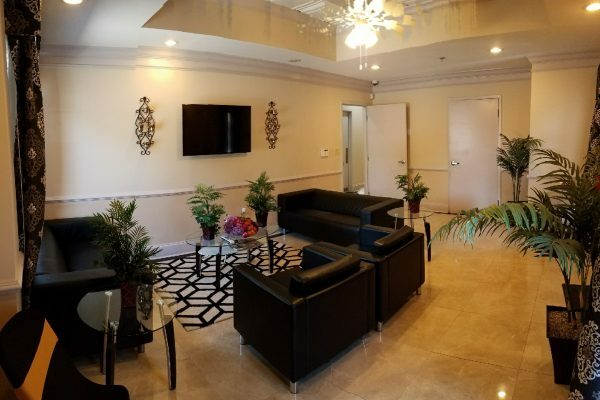 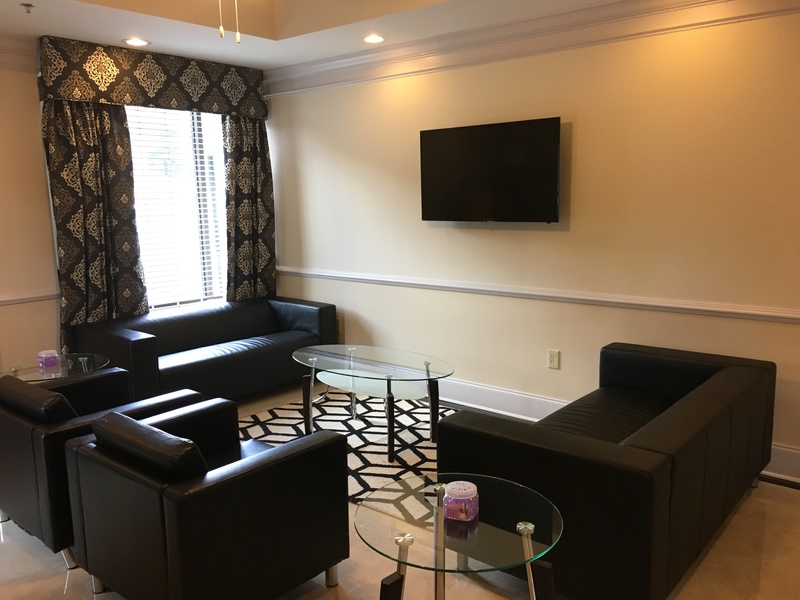 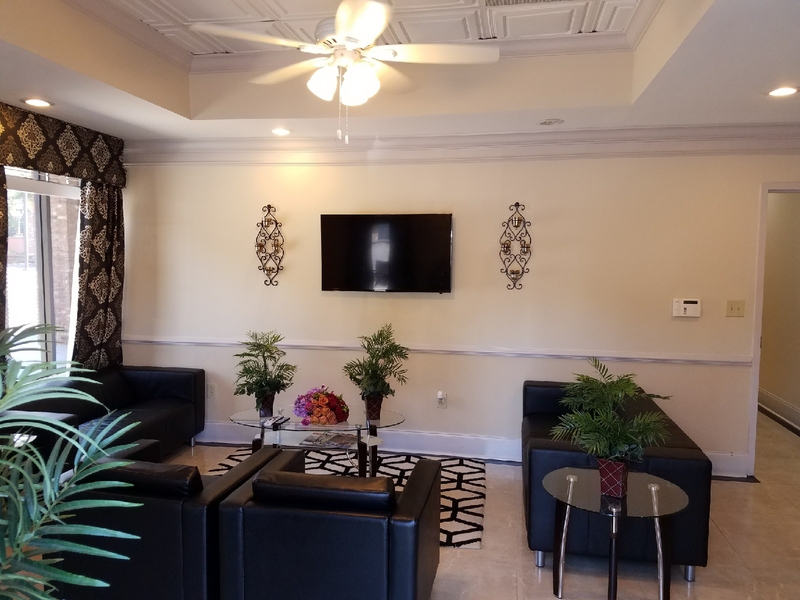 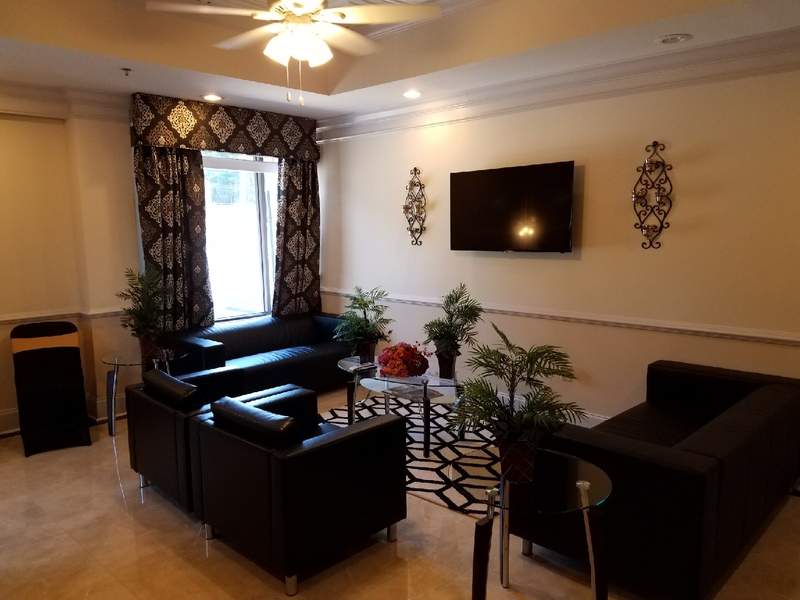 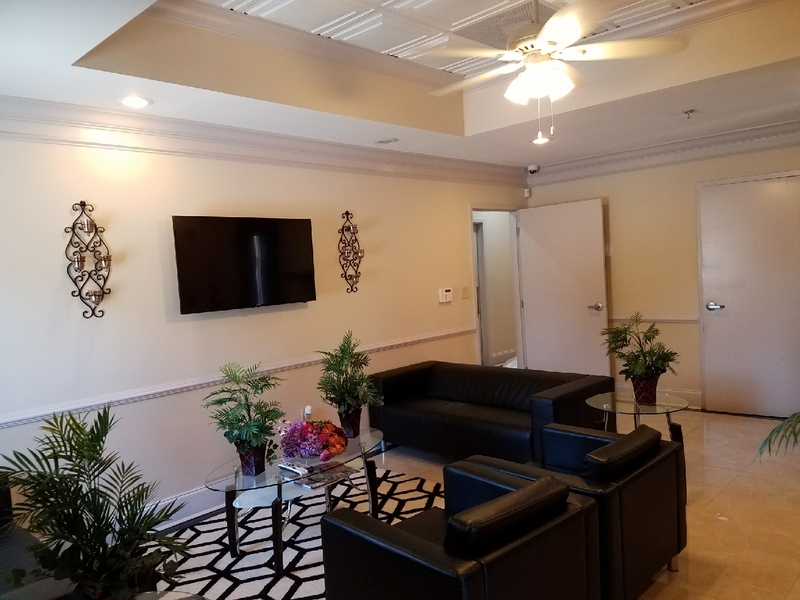 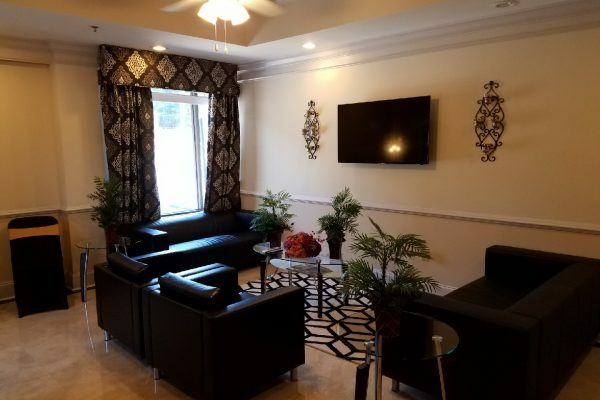 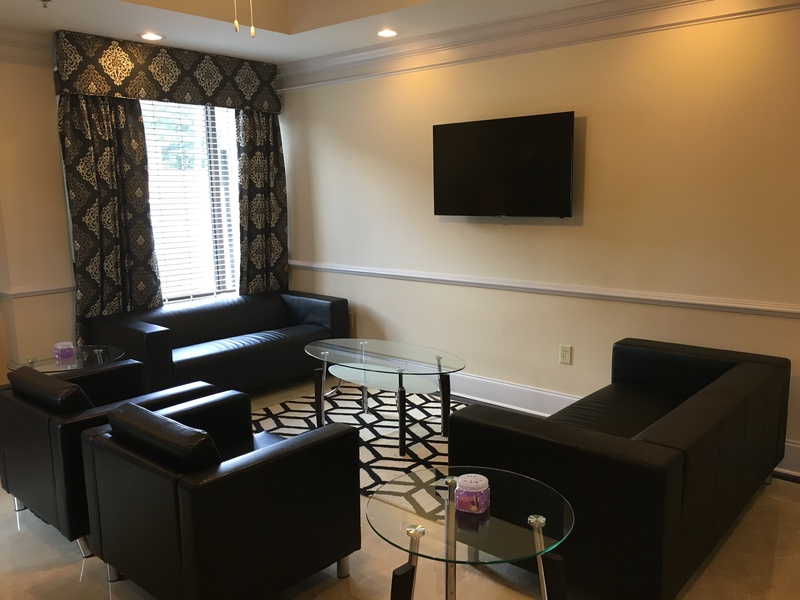 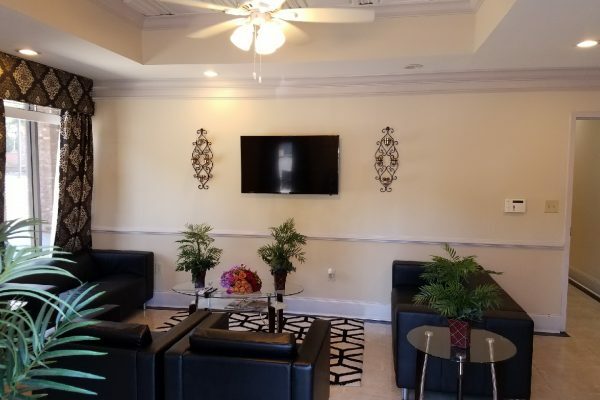 It’s separate entrance into the building and its close proximity to other amenities in the building makes this room a great get away and haven for our guest to enjoy!